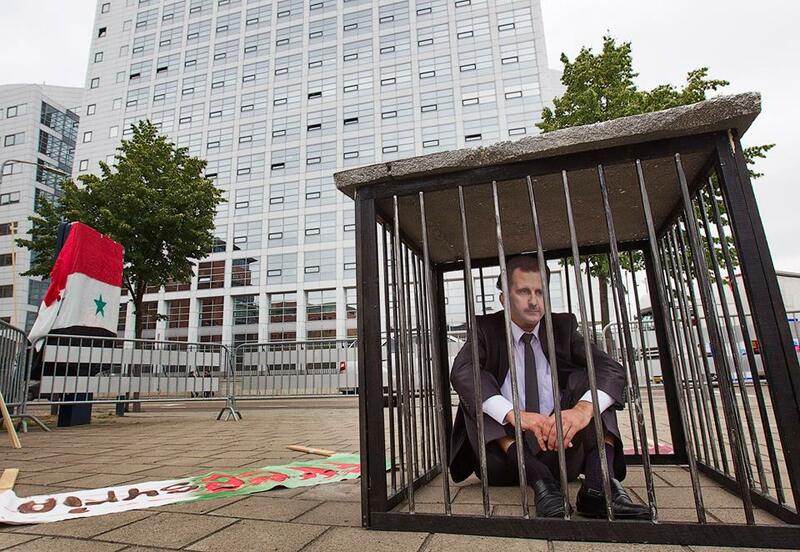 The Hague, 5 October 2015 – The campaign group Naame Shaam (1) today welcomed the preliminary inquiry opened by prosecutors in Paris into unlawful detention, torture and executions committed by the regime of Syrian President Bashar al-Assad. However, the groups said the focus of the investigation, which started last week, is too narrow and should be widened to include other war crimes and crimes against humanity committed in Syria, as well as the role played in these crimes by the Iranian occupation forces in Syria and the sectarian militias they control there, such as Hezbollah Lebanon as well as Iraqi and Afghan militiamen. “We also appeal to the French prosecutors to look into the role played by Iranian commanders in these crimes. Sepah Qods, the foreign arm of Sepah Pasdaran, or Iran’s Revolutionary Guards, has been in effective control of the Syrian regime’s military strategy and tactics since mid-2013. Criminal responsibility for international crimes includes command or superior responsibility, both de jure and de facto, according to the Rome Statute and various international criminal tribunals,” Youssef added. The French investigation, with has the backing of the French Foreign Ministry, is reportedly based primarily on evidence from the former Syrian army photographer known as “Caesar”. (2) It is therefore expected to focus primarily on unlawful detention, torture and executions committed by Syrian regime forces. Last May, Naame Shaam published an in-depth report entitled “Silent Sectarian Cleansing: Iranian Role in Mass Demolitions and Population Transfers in Syria.”(3) The report focuses on the role of Iran’s Sepah Qods in two specific war crimes and crimes against humanity committed repeatedly in certain parts of Syria since the start of the Syrian revolution in March 2011: the unlawful destruction and appropriation of civilian property and the forcible displacement and transfer of civilian population. 1. Naame Shaam is a group of secular Iranian, Syrian and Lebanese activists and citizen-journalists that focuses on uncovering the role of the Iranian regime in Syria. Naame Shaam (نامه شام) means “Letter from Syria” in Persian. More: www.naameshaam.org. 2. More about former Syrian army photographer “Caesar”, see here and here. 3. See the Naame Shaam report “Silent Sectarian Cleansing: Iranian Role in Mass Demolitions and Population Transfers in Syria” (May 2015). Naame Shaam produced another in-depth report on the role of the Iranian regime in Syria, entitled “Syria in Iran – From an Ally of the Regime to an occupying Force” (November 2014). It provides numerous examples and case studies of human rights violations, war crimes and crimes against humanity committed in Syria by Iranian-controlled forces. It also highlights ways of bringing possible lawsuits against Iranian regime officials, such as Gen. Qassem Soleimani, the head of Sepah Qods. 4. Following the Hezbollah-Israel war in the summer of 2006, marine vessels under a UN mandate have been preventing Iranian arms reaching Hezbollah via Lebanese ports, in line with UN Security Council resolution 1701 of 11 August 2006. Since then, the Iranian regime has been shipping arms and ammunition to Hezbollah Lebanon via Syrian ports. From there they are illegally transported into Lebanon. Syria has been the lifeline of Iran’s army in Lebanon, i.e. Hezbollah, since end 2006. 5. For more on this, see here.